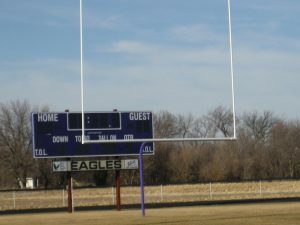 When you attended the Wood River Eagles football games this past season did you notice something different? Did you notice the new goal posts? A committee, formed in part of WR Rural High Alumni, undertook the project of replacing the old goal posts that were in very bad shape and ready to fall over. 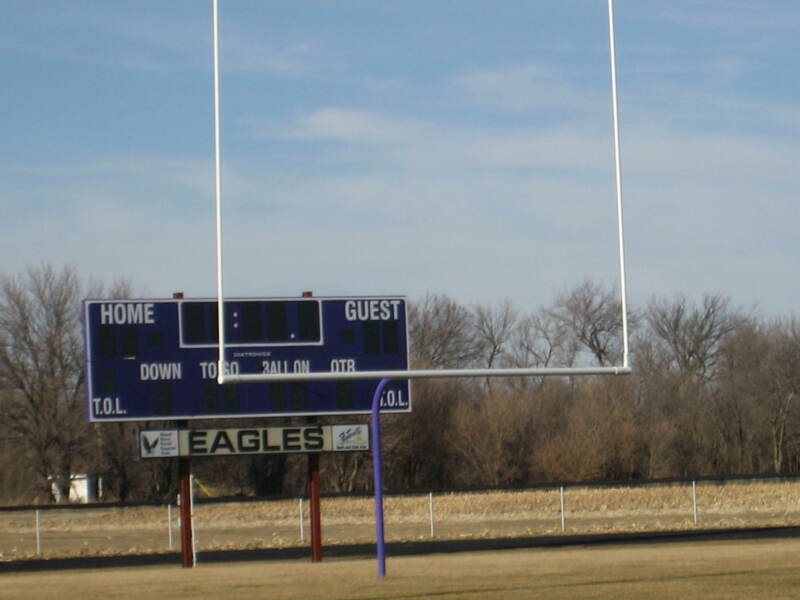 The new posts were fabricated, painted, and installed by Tourney Brothers Metal Fabrications of Wood River. 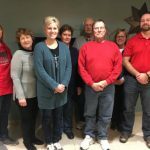 The committee did some fund raising and came to the Wood River Community Centennial Foundation with a grant request of $5,000 for the new goal posts. When reviewing this application, a named fund instantly came to mind. 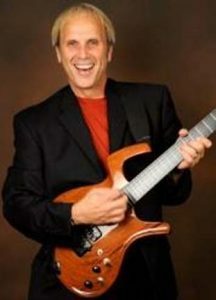 At the time of Gordon C. “Red” Brannon’s death (September 12, 2012) his family established a named fund in his memory. Red (as his friends all knew him by) was born in San Francisco, but moved to Alda and ultimately settled in Wood River in 1947. He was an all-sports athlete for Wood River 1948-1951 and graduated with the class of 1951. Family was the center of Red’s world—volunteer coaching over the years and then moving to the sideline to watch the grandkids in any sport. He loved Husker Sports and he 49’s. Although born in San Francisco Red always considered Wood River his “home base” – respect for town people and maintained many friends. He supported the Wood River High School Alumni and stayed in contact with all of his ’51 classmates. He established the Lewetta Russell Scholarship with the support of his classmates. 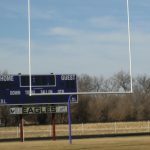 The grant request for the new goal posts was approved by the Board with funds coming from the Gordon C. “Red” Brannon named fund and from the general fund. This is a perfect example of the mission of the Wood River Community Centennial Foundation. At the time of the death of a special person a memorial gift is made to the Foundation. Then, when a grant request is made for funds for the Wood River area, funds are available. Since the beginning of the Foundation in 1984 grants and scholarships over $554,000 has been awarded back to the community. This is only possible by generous donors, like Red who was a faithful supporter of the Foundation, and you. Won’t you join the list of donor supporters to the Wood River Community Centennial Foundation in 2018?